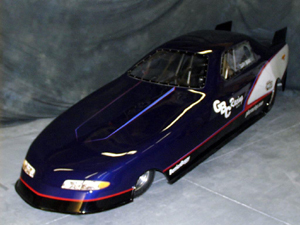 GBC Racing is proud of the fact that we still work with customers one-on-one and build each individual car to the customer’s expectations. These 110″ wheel base, Mini-Pro Funny Cars offer power and excitement for the true drag racing enthusiast. Using any 4-S snowmobile, motorcycle or V-Twin type engine you can power your Funny Car past speeds of 140+ mph! 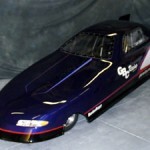 You can buy fiberglass Funny Car bodies and/or welded Funny Cars from GBC Racing. Email GBC (or) call 574-658-4757 for details today! GBC Racing has the right to: Share, release, market the use of any ideas, drawings or pictures submitted to GBC Racing to better our products and safety for all of our customers. Designed by NorthWoods Imaging Company.